Solar Plexus is part of a project that comprises three tables, each representing a different aspect of a deep inner search transformed into matter. Each object started as raw monolithic material. The shape was then formed by creating spaces. The space determines the object’s shell, much like an inner search sculpts a person, screening the superfluous and leaving its essence. About two thousand hours were invested in each table in a process that took three and a half years. 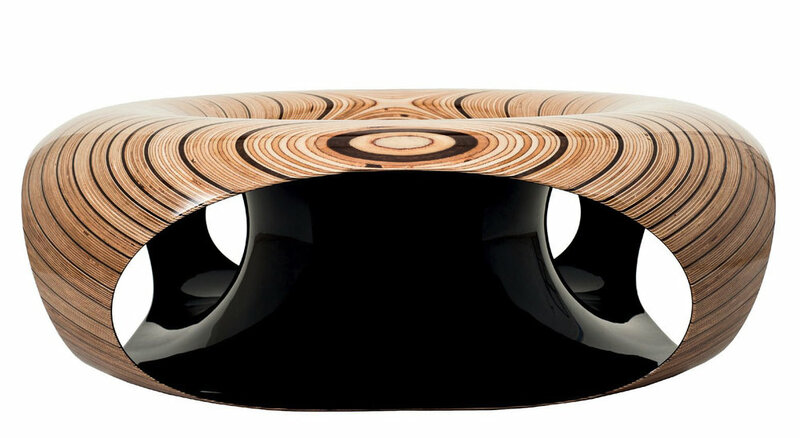 The tables were built using a unique technology, combining manual labor and accurate CNC milling with carbon fiber—an innovative technique that has opened new routes in woodwork. This journey into the soul and into the material and technology was much deeper than I had imagined. There were times when the unexpected complexity of the process threatened its completion. Freedom of thought is not limited by the texture and rigidity of the wood. Conversely, it inspires the artist into forming seemingly flexible soft forms that are, in point of fact, very accurate and firm. The solar plexus, or manipura, is the third chakra—the center of inner strength, willpower, and determination. The original meaning of the word chakra is “wheel” or “disk,” and likewise, the table is designed as a perfect circle, with no beginning or end. Nevertheless, it contains empty spaces and illuminated corners, as well as dark ones, reminders of the inner search and self-awareness. Born on a kibbutz in 1977, Iftah Geva studied industrial design at the Holon Institute of Technology. After graduation he founded Life Assistant with Gal Goldner with the mission of developing and designing technological innovations for an aging population. Shortly thereafter they founded ABA Science Play to develop projects for cutting-edge playgrounds. 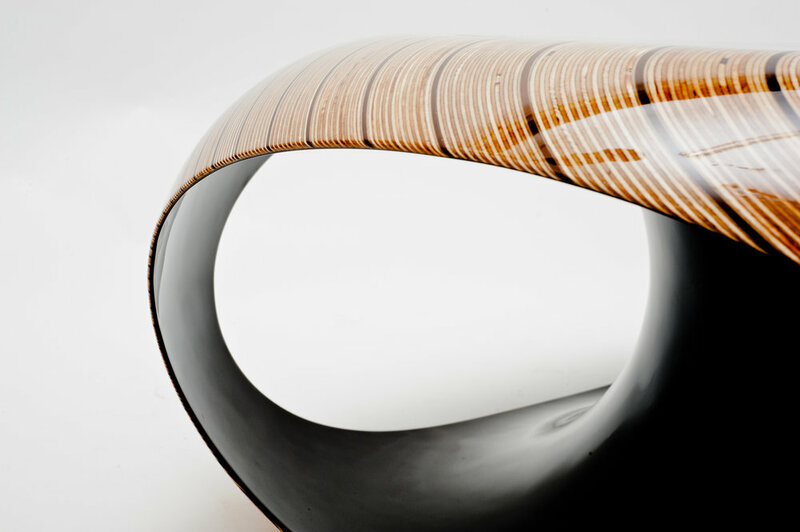 Geva still lives and works on a kibbutz in northern Israel where he merges new technologies with handcrafted approaches to create innovative furniture, sculpture, and jewelry from exotic woods and carbon fiber. His work is in the permanent collection of the Museum of Arts and Design in New York City and was featured in the exhibit Crafted: Objects in Flux at the Museum of Fine Arts, Boston, in 2015.